The report “Planar Solid Oxide Fuel Cell Market by Cost Breakdown (Planar Cells, Separator Plates, Manifolds, Seals, and Others), Application (Stationary, Transportation, and Portable) & by Region (Asia-Pacific, North America, Europe, and Rest of the world) - Global Trends & Forecast to 2020” defines and segments the planar solid oxide fuel cell (SOFC) market, with an analysis of market size, by value, market shares of leading players, and a forecast of future trends. It also identifies the key drivers, restraints, and challenges of the market, highlighting the latest trends and identifying opportunities. Browse 70 market data tables and 46 figures spread through 147 pages and in-depth TOC on “Planar Solid Oxide Fuel Cell Market by Cost Breakdown (Planar Cells, Separator Plates, Manifolds, Seals, and Others), Application (Stationary, Transportation, and Portable) & by Region (Asia-Pacific, North America, Europe, and Rest of the world) - Global Trends & Forecast to 2020"
In 2014, Asia-Pacific was the largest regional market for planar SOFC and accounted for a market share, by value, of 38.3%. The growing demand for alternative electric power generation technologies, related expenditure on the development of planar SOFC technology, and growing inclination towards distributed generation are the key drivers of the global planar SOFC market. 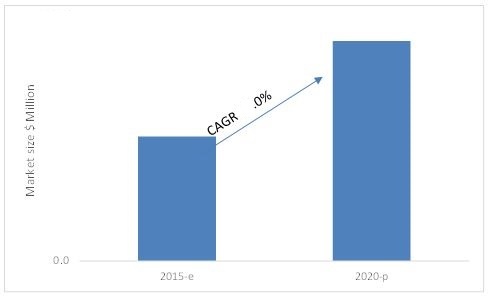 The planar SOFC market is projected to reach a value of $ 639.2 Million in 2020 from an estimated value of $ 362.0 Million in 2015 growing at a CAGR of 12.0% from 2015 to 2020, with the demand from countries such as Japan, the U.S., South Korea, and Germany set to increase. The demand for planar SOFC is primarily driven by the expansion of distributed power generation to connect more residential and commercial areas to power supply and the growing number of electric vehicle applications based on fuel cells. Leading players in the global planar SOFC market include Bloom Energy (U.S.), Aisin Seiki (Japan), Fuel Cell Energy Inc. (U.S.), and Ceramic Fuel Cell Ltd. (Australia). Players in this market are currently investing in R&D to enhance the efficiency and reduce the manufacturing cost of their products. Companies are attempting to avail of opportunities in the emerging economies of Asia-Pacific and parts of Europe through strategies such as joint-ventures, mergers & acquisitions, and partnerships & collaborations.